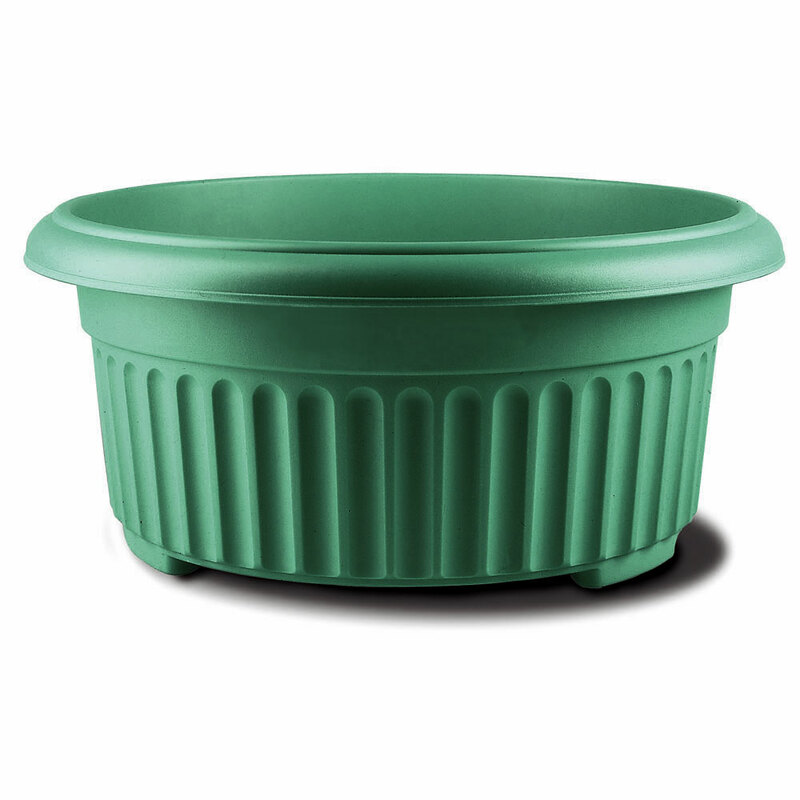 Stewart Garden Corinthian Low Planter 45cm in Green colour design is a popular and classically inspired planter perfect for showing patio bulbs. Constructed from top quality injection moulded plastic that is strong, durable and UV stabilised. Corinthian styled low planter allows the flowers to take centre-stage and not the pot! Bulb displays are stunning in these planters. Long-lasting, lightweight, frost-proof, shockproof and easy to lift and manoeuvre. Also available in Black and Terracotta.